Have you often thought about an economical way to transport you and your friends to a restaurant and back home without the worry of driving? Booking a Maxi Cab might be just the solution you have been searching for. 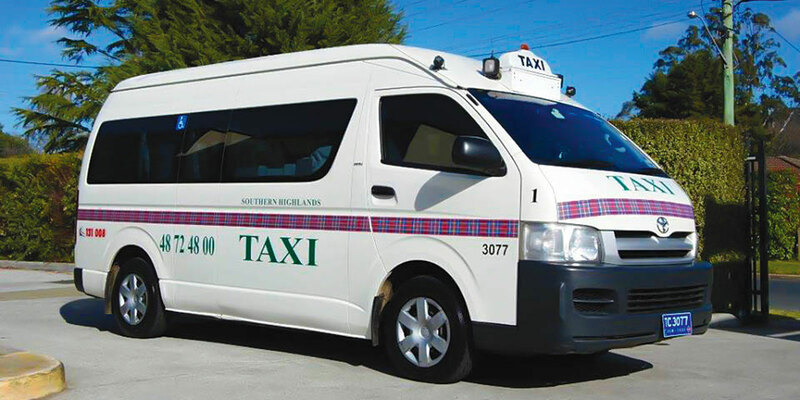 At Southern Highlands Taxi Service, our Maxi Cabs seat 9, 10 or 11 people and it costs only half as much again as a normal taxi which seats only four. This means that even if there are only eight of you, it would be less expensive than two cabs. It’s a great way to enjoy a night out and for groups we offer special long distance rates for trips out of the Southern Highlands. Whether it be a function in Sydney or a sporting event outside the shire, there’s no better way to go than in one of our Toyota Maxi Cabs. Bookings for local destinations are preferable and for long distance special rates, bookings are essential. A cancellation fee does apply. Most credit cards are welcome with a 3% administration fee applies if paid to the office or 5% if paid in car.